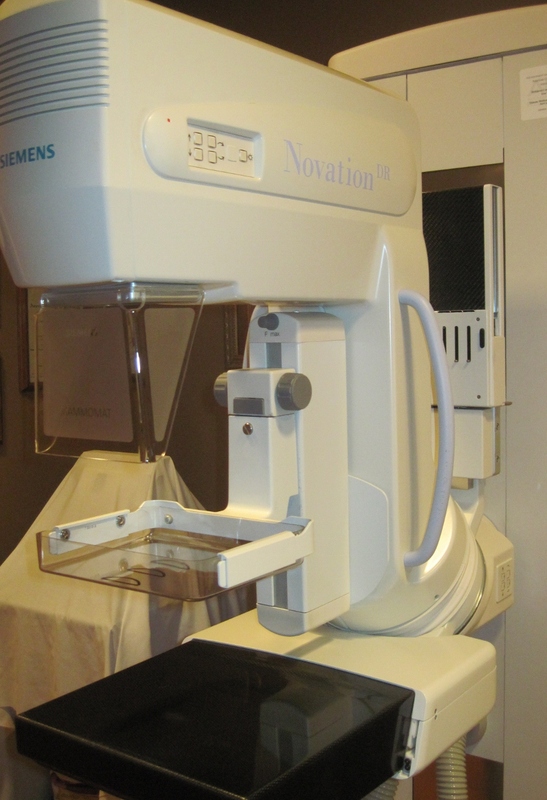 On Wednesday I had my very first mammogram. Ah, what a pleasure that was. I had heard about it, but was still a bit surprised to see and feel just how tightly my breasts could be sqeezed between two pieces of Plexiglas. The appointment was over before it was even supposed to begin. I was in and out in under ten minutes. Not bad. The technician told me I would receive a phone call on Thursday for a follow up appointment should anything show up. If not, they would just send me a letter with an invitation to come back in one year. When I spoke to Ryan on the phone at the end of the day yesterday, I told him I had not gotten a phone call and everything must be alright. I had spoken too soon. After I hung up, I checked the missed calls. While I was accompanying Lola to her ballet class, the local clinic had called. And they had left a message that they would like to go over my mammogram results with me. Of course they were closed by the time I listened to it and I was left stewing over the possible implications until this morning. I had a hard time keeping it together at first. While I knew in the back of my mind that this was nothing but a courtesy call, I could not get my brain and my heart to believe it and act accordingly. Things got better once Ryan came home and I was able to talk about it. He reassured me, and undoubtedly himself, there was nothing to worry about. I calmed down enough to be able to make jokes about it. This morning I called the clinic as soon as they opened. It took them approximately ten minutes to answer their phone by which time I was thoroughly worked up again. If you insist on scaring your patients, at least have the decency to be open for business when you say you are. When I was finally connected to the nurse, she told me the results were negative ("What does that mean, is that good or bad? ", my frantic brain was yelling at me) and that they would like to see me back in one year. After taking a deep breath, I was able to calmly tell the nurse what the mammography techs at the hospital tell their patients and how she had scared the living daylights out of me with her message. She was very apologetic and I could tell she genuinely felt bad about the whole situation. We parted on a good note. I called Ryan with the good news, made myself a cup of coffee, and painted my toenails a beautiful taupe color. I don't care if it's snowing outside, things are looking sunny to me! YEAH!!!! taupe???? Lola isn't going to like that!